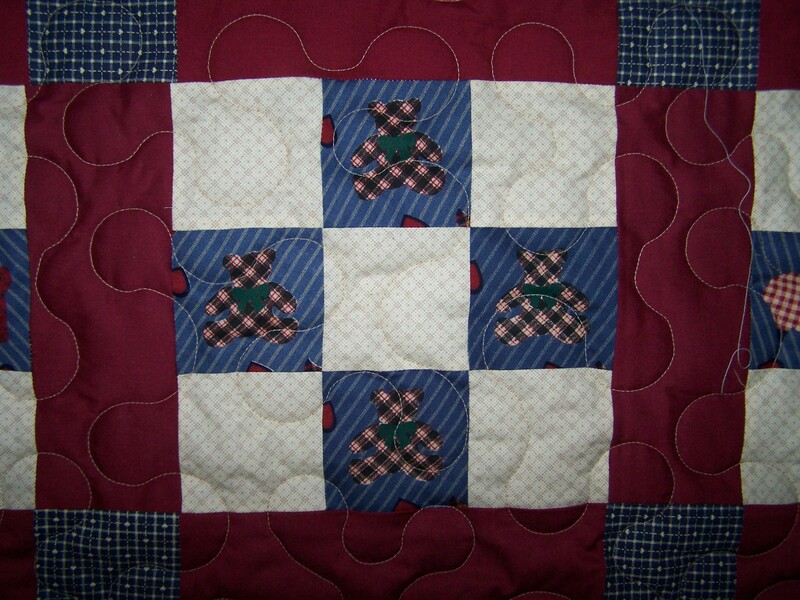 Here are some photos of one of my Guild’s Kids’ Quilts. 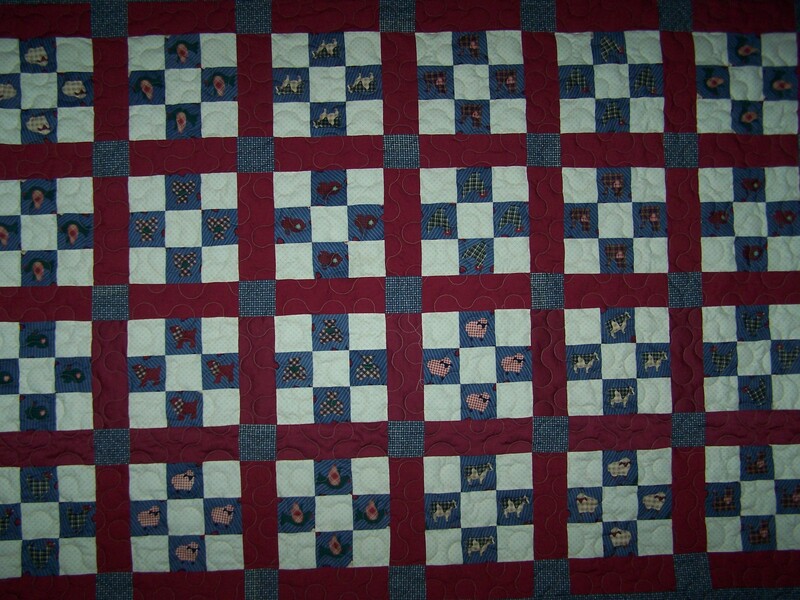 It’s a 9 patch quilt block quilted with an edge to edge meander pattern. Do you have a 9 patch quilt top waiting to be finished? CONTACT ME and I’ll get it quilted QUICKLY! 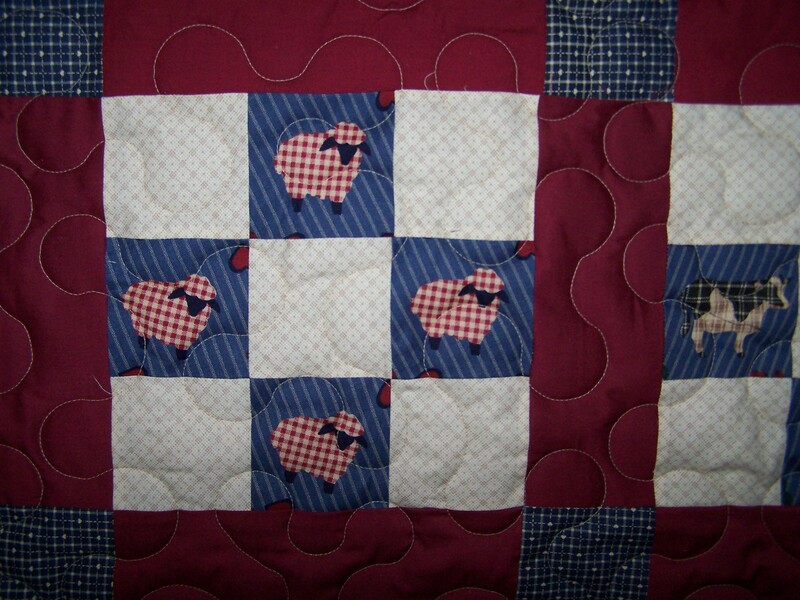 Here are some close ups – The animal fabric was fussy cut making it cute, cute, cute! Oooopsie – loose thread in one of the closeup photos! Imagine that! Hahahaha!